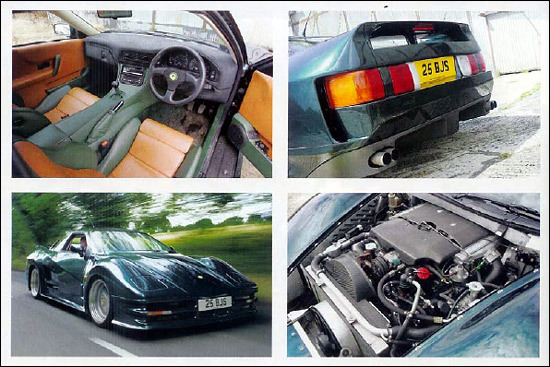 "More than 13 years after its launch at the London Motor Show in 1993, the Lister Storm is once again on the front cover of a magazine - this time the December issue of Classic Cars," reveals Fiona Pearce. 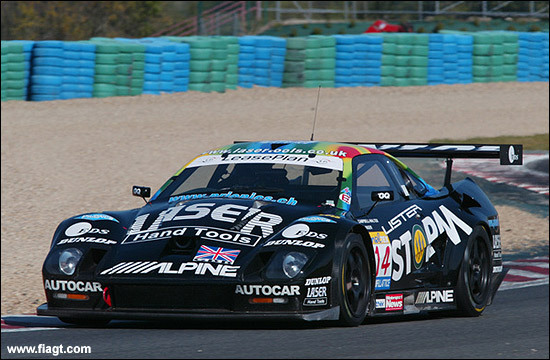 Lister Storms have raced at Le Mans and Daytona, but their greatest successes have come in the FIA GT Championship, carrying Jamie Campbell-Walter to more FIA GT1 wins than any other driver (12). JC-W also set seven pole positions, and finished on the podium 20 times, between 1999 and 2004. 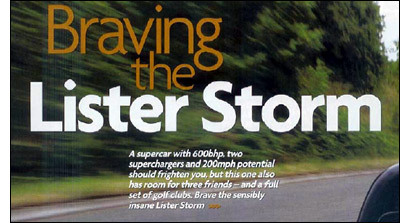 "Aerodynamically it's still good enough," says Laurence Pearce - and it was he who designed the Storm in the first place. The third image shows JC-W / Nic Springer heading to that remarkable win at the opening race of the 2002 FIA GT Championship, at Magny-Cours.